Aspect CXP Pro is a solution for building, implementing & maintaining self-service applications across multiple channels, which combines the application lifecycle management tools of Aspect CXP with the Aspect Prophecy telephony platform. Applications can be employed across mobile, text, and IVR (interactive voice response) channels, and utilized across all industries, particularly government, banking, insurance, retail, hospitality & travel, healthcare, utilities and other service providers. On-premise, Aspect Cloud hosted, and hybrid cloud deployments are supported. Aspect CXP Pro allows users to create digital self-service systems, including artificial intelligence (AI) powered chatbots for SMS and Facebook Messenger and contact center-integrated mobile solutions, leveraging natural language understanding technology across multiple text-based channels. Modern IVR applications can also be created, with speech recognition, caller intent prediction, dynamic personalization of menu options, context continuity, and more. 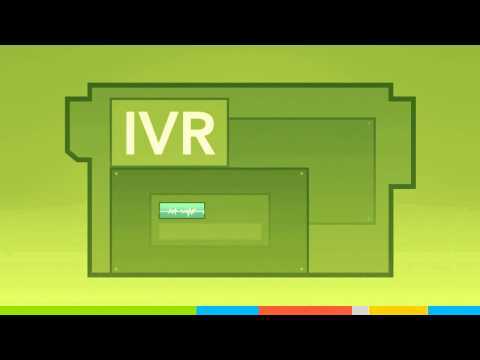 These IVR systems can be used for basic call routing, inbound self-service, or proactive outbound IVR, with applications including telephone surveys, order status tracking, information retrieval, virtual receptionists, voice verification, emergency notifications, and more. Self-service applications integrate with other Aspect contact center solutions, facilitating transfer of contacts to live agents when necessary. Connecting our Customers to the Services they need...easily and universallyAspect CXP Pro is an incredible platform for omni-channel interaction development. It was created on the premise of developing interactions once and delivering them everywhere. What a great approach! We can take all of our interactions and deploy them across a variety of channels (voice, text, web, and video) and even to a large array of languages. Very powerful! The CXP Developer interface is easy to use. The Eclipse IDE was an easy transition. Coding is drag & drop, which takes a little getting used to. You'll be a pro in no time. It integrates with Java and can connect to DBs and web svcs. It has speech recognition and text-to-speech capabilities, but also supports integration with speech providers like Nuance. It has its own tester and debugger capable of voice, web, and mobile phone simulations. We have it deployed to a clustered environment, spanned across multiple data centers for high availability. Very solid! Companies everywhere are struggling to establish their interactive presence, quickly and efficiently. Many are approaching this tactically; buying one channel at a time until their pocketbooks runs dry. Not a good idea. How is the best way to handle this? Think strategically. What if you could produce it once, and just deliver it everywhere, even to multiple languages? This is what makes CXP a powerful solution. CXP is all about laying a solid foundation that is flexible enough to deliver almost anywhere. Aspect CXP Pro is an incredible platform for omni-channel interaction development. It was created on the premise of developing interactions once and delivering them everywhere. What a great approach! We can take all of our interactions and deploy them across a variety of channels (voice, text, web, and video) and even to a large array of languages. Very powerful! The CXP Developer interface is easy to use. The Eclipse IDE was an easy transition. Coding is drag & drop, which takes a little getting used to. You'll be a pro in no time. It integrates with Java and can connect to DBs and web svcs. It has speech recognition and text-to-speech capabilities, but also supports integration with speech providers like Nuance. It has its own tester and debugger capable of voice, web, and mobile phone simulations. We have it deployed to a clustered environment, spanned across multiple data centers for high availability. Very solid! Companies everywhere are struggling to establish their interactive presence, quickly and efficiently. Many are approaching this tactically; buying one channel at a time until their pocketbooks runs dry. Not a good idea. How is the best way to handle this? Think strategically. What if you could produce it once, and just deliver it everywhere, even to multiple languages? This is what makes CXP a powerful solution. CXP is all about laying a solid foundation that is flexible enough to deliver almost anywhere. Thank you so much for the 5-star rating for Aspect CXP Pro. We are thrilled to hear that you are so happy with the solution and will pass this information on to the relevant teams. Aspect CXP Pro provides all functionalities in terms of IVR and omni channel following the standards for VXML and HTML 5. It is highly scalable in enterprise cluster environment, on premise and hosted. The development environment is fully integrated into Eclipse and supports the user in easily building omni channel applications. Besides this, it also provides a web based development user interface in case no fat client installation is wanted or possible. CXP Pro offers full reporting and monitoring capabilities on system and application level. Splunk is integrated and indexes all log files written bei CXP Pro. On application level CXP writes statistics and other session data in a fully BI data model compliant database scheme. This data can be used to run BI reports (coming with CXP Pro). Several BI tools on the market are supported. One of the best features in CXP is, in my opinion, the comprehensive ways to integrate with any kind of backend system. Within the application dialog it offers easy to use objects to connect to a database/webservice/REST API or any other backend system to retrieve caller data or write transactions back into the customers backend system. The newest very interesting feature which was added to CXP is the NLU component which allows the user to build interactive text response applications interpreting written text input in a semantic way using NLU conditions. The learning curve can be steep and the development principles need to be grasped. For this Aspect has an Active Learning environment with certifications. Some features are not fully described and needs to be discovered; which might be the case with many development environments. The "language" in which development takes place is propriety; not something like VoiceXML. However, it is necessitated by the feature and channel rich environment. Flexibility, scalability and elasticity come to mind first. The flexibility to create innovative customer engagement applications by integrating all our telephony needs in a single platform. We also appreciate the Aspect team behind the scenes helping us be successful at every step of the way. Centralized IVR functionality, but with regional hardware deployment.The Eclipse interface is pretty easy to use for development. Deployment in the new version is much more flexible than before. Contact Aspect for pricing information. Aspect CXP Pro is fully compliant with VoiceXML (VXML), CCXML, and HIPAA regulations, and is PCI-DSS Level 1 certified. Self-service applications can be deployed across multiple channels, including IVR, mobile web apps, chat, SMS, and social networks, and analyzed across all channels in real-time. Dynamic personalization can be employed to present menu options according to likely user intent, for example if a user has recently placed an order online. Integration with contact center systems allows transfer to live agent assistance when required. Session states can be preserved across multiple sessions, user preferences retained, and each customer’s last call or session and overall call frequency can be tracked. Integration with business intelligence applications, real-time reporting, and detailed analytics for caller loyalty, personalization statistics, task completion rates, caller behavior, transaction success, application performance, and more. Below are some frequently asked questions for Aspect CXP Pro. Q. What type of pricing plans does Aspect CXP Pro offer? Q. Who are the typical users of Aspect CXP Pro? Q. What languages does Aspect CXP Pro support? Q. Does Aspect CXP Pro support mobile devices? Q. Does Aspect CXP Pro offer an API? Yes, Aspect CXP Pro has an API available for use. Q. What other apps does Aspect CXP Pro integrate with? Q. What level of support does Aspect CXP Pro offer?